The iBridge Power Dock allows the retrofit addition of iPod to a multiroom audio system painless. 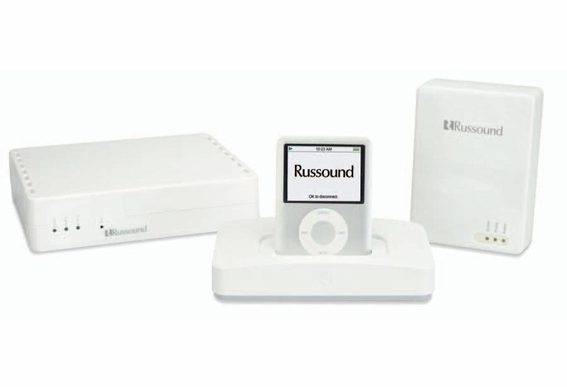 Using innovative Power Line Carrier (PLC) technology, the iBridge Power Dock makes it possible to add an iPod as an audio system source without running new wiring. The iBridge Power Dock features a standard 30-pin dock connector and ships with five well adapters to support most iPod models. It provides power to the iPod to keep it charged while docked and connected to the system. A maximum of four iBridge Power Docks per system, and each Power Dock requires its own Dock Adapter and Controller Adapter. iPod touch, iPod classic, iPod with video, Ipod nano (3rd generation), iPod nano (2nd generation), iPod nano (1st generation), iPod with color display, iPod mini, iPod with dock connector, iPod with Click Wheel.